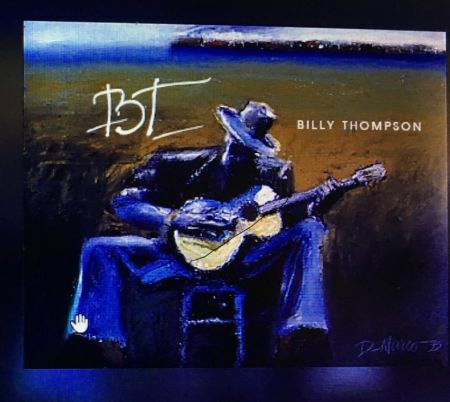 Regular readers of Blue Blast may remember that guitarist Billy Thompson was nominated for a 2012 Blues Blast Music Award in the Contemporary Blues Recording category for his A Better Man project. With his seventh full-length release, Thompson offers up another batch of original material that flows through the landscape where blues and rock co-mingle to form a savory gumbo of musical delights. The opener, “Burn It Down, Bernadette,” co-written with Kristen Trump, is an aptly titled number that takes listeners back to the early days of Little Feat with Thompson’s slide guitar and impassioned vocal filling the Lowell George role. “Phone” is a propulsive shuffle with all-star backing from Mike Finnigan on organ, James “Hutch” Hutchinson on bass, and Tony Braunagel on drums. Thompson’s biting guitar cuts through “Silent Warrior,” a bold plea for sanity in the modern world that undergoes a dramatic tempo shift courtesy of Rob Cowart on bass and Eric Selby on drums plus Michael Leroy Peed on synth strings. The tempered ballad “In The Back Of Beyond” finds the leader weaving slide accents around his cries of love. Finnigan and Braunagel are back on “Stranger,” with Finnigan on organ dominating the arrangement while Thompson gives an assessment about “…Living out of touch in a rock star nation,” featuring James “Hutch” Hutchinson on bass. “That Devil” finds the troubled singer worn out from battling for for control of his soul as the world closes in. Peed impresses on keyboards while the rhythm section is comprised of James East on bass and Danny Campbell on drums. Thompson breaks out his harmonica on “Black Rain,” blowing chilling fills along with laying tightly drawn guitar licks with support from Daryl Johnson on bass. Yet another bass player, Michelle Lucas, appears on “Mud Island Woman,” a song that a brawny shuffle about a conjuring woman and the threat of flooding Mississippi River. The lone cover is a surging rendition of the Doobie Brothers hit, “Long Train Running”. Through overdubs, Thompson sings, plays bass and harmonica in addition to showcasing more of his fine slide work. “Children Of The Sun” and “Hourglass” are quieter meditations on life’s journey and our shared spirit of humanity. The closing number, “Reason For Goin’ Fishin’,” is a back-porch blues notable for Peed’s infectious piano playing and Thompson’s laid-back vocal. Glen Monroe makes his lone appearance on bass. 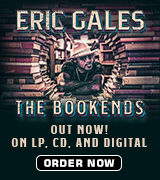 This is one of those releases that truly blurs the lines between musical genres. Terms like roots music, Americana, or rock simply fail to convey the true nature of Thompson’s detailed arrangements fleshed out with a level of lyrical sophistication that is a rare commodity these days. 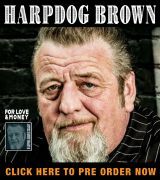 Blues is part of the mix but, bottom-line, this is Billy Thompson giving listeners another chance to peer into his musical soul.